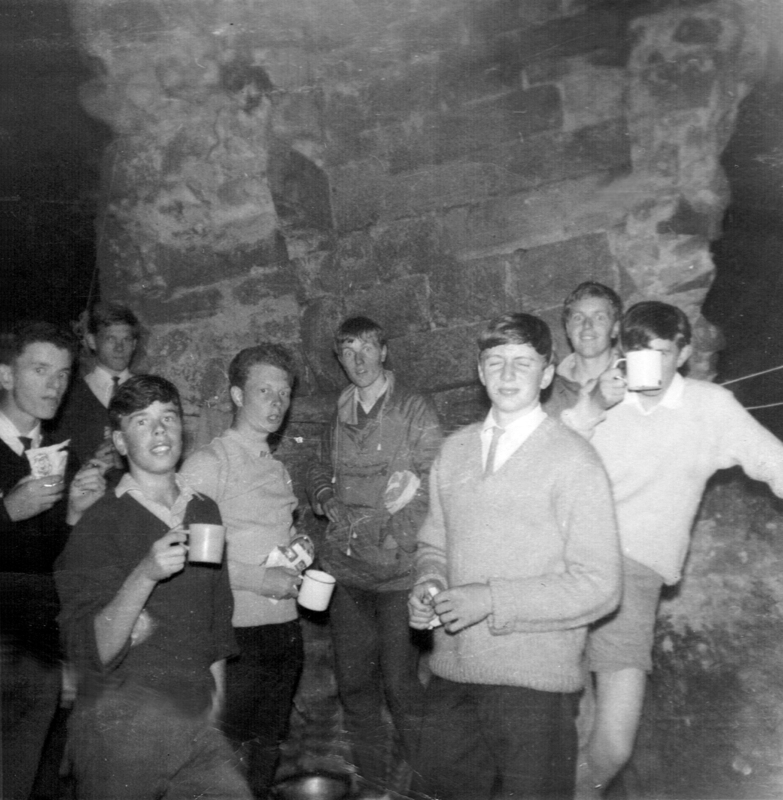 Peter Whitcomb published a great page about the 7th Brighton Scouts which shared his memories and photos of his time with the scouts. You can see Peter’s page here. These photos are from the 1960s and I would be very interested to hear from anyone who recognises themselves or anyone else, or can share memories of this time. If you can help, please leave a comment below. I was in the 11th Brighton troop up to 1964. If I am correct, the boy in front with his eyes closed is Sammy. I don’t remember his last name. If it is him then I have photos of him in the “Gang Show” in a scene where 4 of us were dressed as girls in a piece called “Going to a party”. Hope you dont mind me dropping in but in the late 50s and early 60s I was in the 16th Brighton Sea Cubs, which if I remember rightly use to meet at a primary school at Rottingdean and my father (Ron Roncoli) was the Scout Master for the 16th Brighton Sea Scouts which met in one of those storage type places located on the Brighton Seafront ‘Promenade.’ Not only were we involved with sailing but we had a great drum and bugle band. Can anyone shed some light on this unit and what happened to to it? Hi Ted. Good to see your photos. From the left: not known; Peter (Chalkie) Wright; Ted; Peter Whitcomb; behind Sam Lewis are the Spain brothers; and haven’t a clue about the chap hiding behind the mug. For followers of 7th Brighton Scouts – Sam Lewis and his wife run a wonderful B&B down in Somerset. I also had a phone call out of the blue recently from Nigel Parsonage who is now living in Worcester. My brother, Michael, has left Australia to marry for the third time and is currently living in New York! Best wishes to all. Good to hear from you, and thanks for the names. I used to see you on the train to London didn’t I? I’m still commuting though I expect you are retired by now. I met Dave Hunt recently at the Brighton model railway exhibition. We were both taking our grandchildren. Dave gave me details of scout leader reunions at the Falmer Swan. Although I was never a scout leader I hope to drop in one day. 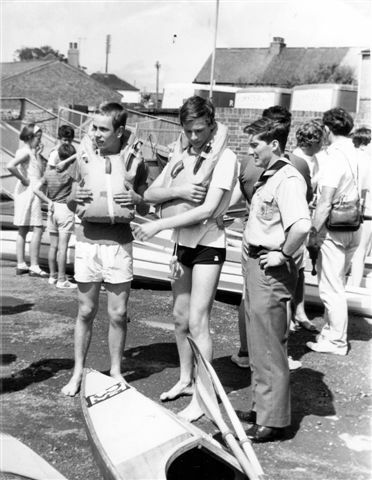 I have found another photo of me and the Spain twins at a summer camp – I think at Chailey. We were displaying a cake each which we had baked each in a mud oven for Johnny Burt’s birthday. The trouble is that this website doesn’t seem to allow me to post another photo – I have to start another page. Perhaps you can advise. All the best Peter and give my regards to Michael. Hi James (Dowsett), I do remember you and your brother John. I have met John recently – well about a year ago. I lived near you both when I lived in Centurion Road and I think I knew you as Jamie – did you become a jockey? I know your brother was a firefighter. I remember you in your scout uniform with the old wide brimmed hat when we had berrets. Anyway all the best James. Hi Phill, the other person in first photo with Jim Watson is Allen Davies. Think I left the year before as Dave Hunt has new long trousers. The first pic, the scout leader with hands on hips, looks very much like a young Brian Moody, who was a scout leader at the 14th scouts in Dorset Gardens. First pic is Jim Watson, Allen Neil and Dave Hunt I think. Yes I too remember Brian Moody. I remember he had one of the first cassete recorders. He was involved in the gang show. Hi, I am now retired and living in Portugal where the scout movement is very strong, you regularly see them in town. The Portuguese have a long history of Para Military groups from the days of the Fascist dictator Dr Salazar.